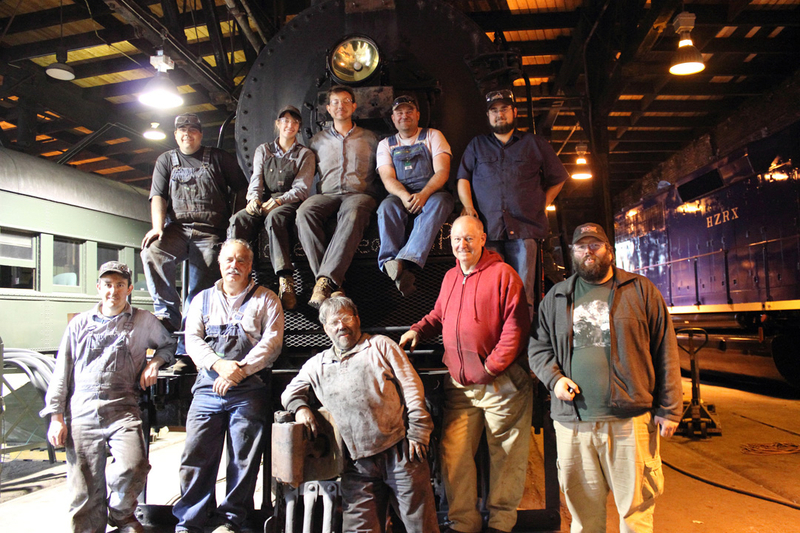 Following the cross-country relocation of a historic steam locomotive from Richland, Washington to Cleveland, Ohio, the American Steam Railroad Preservation Association (ASR) announces the official start of its capital campaign to rebuild Reading Company no. 2100. “After conducting a detailed inspection of the engine, we’re ready to officially kick off the fundraising and restoration phase of Fire Up 2100,” explained Steven Harvey, President of ASR. As part of Fire Up 2100, ASR has created the $21.00 Campaign, where supporters can commit $21.00 a month to the project for a year. Donors can sign up to contribute $21.00 or any reoccurring amount automatically online. Reoccurring donors are eligible for perks including merchandise, advance ticket sales and throttle time with 2100. For more information or to donate, visit www.fireup2100.org/donate. 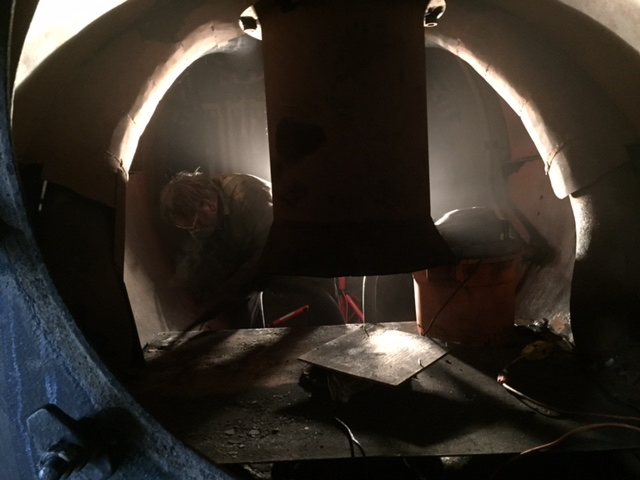 The project is estimated to cost $700,000 with major phases dedicated to running gear repair ($270,000), appliance repairs ($50,000) and boiler work ($95,000), among others. Upon returning 2100 to operable status, ASR will employ the 2100 in passenger excursion and educational outreach programs, capitalizing on the worldwide popularity of railroad tourism and unique appeal of steam locomotives. “If 3,000 people sign up, we’ll have exceeded the fundraising goal for Fire Up 2100 in a year’s time,” Harvey stated. Since moving the 2100 to Ohio, and with no formal development program yet in place, ASR has already seen $10,000 in donations and interest from regional railroads and corporate donors, including 100 sustaining members donating $21.00 a month as of October. 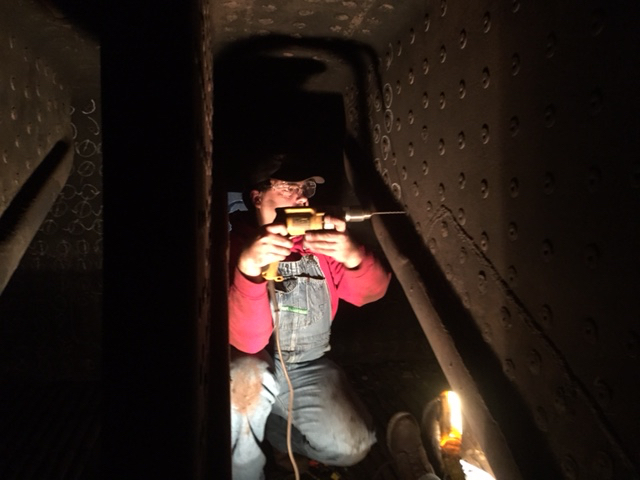 “The allure of steam locomotives is demonstrated nearly every year at the Cuyahoga Valley Scenic Railroad. We’d like to collaborate with ASR to operate a series of test runs with 2100 and participate in our Steam in the Valley events,” said Ray Kammer Jr., Director of Operations and Planning for the Cuyahoga Valley Scenic Railroad. 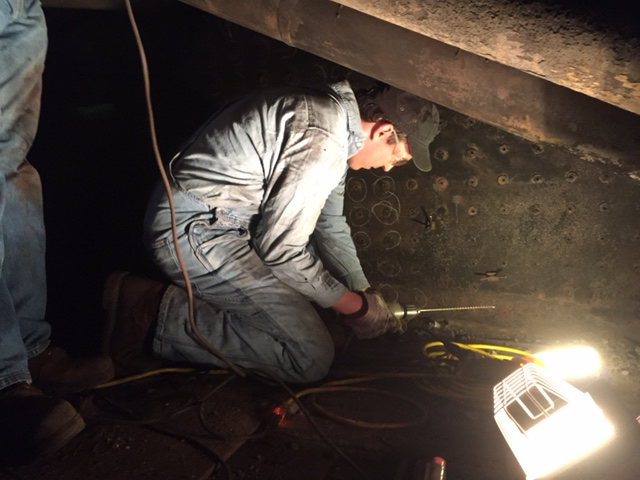 Restoration work on 2100 will take place at the the Midwest Railway Preservation Society as part of an ongoing partnership with the organization. On August 15th and 16th, the American Steam Railroad (ASR) will unveil Reading Company steam locomotive No. 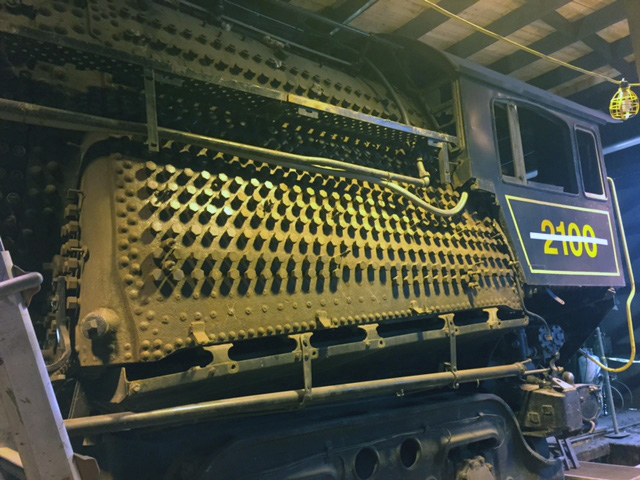 2100 to the public for the first time since its cross-country move from to Ohio for evaluation and restoration. The event will feature exclusive access to No. 2100, guided tours of the Midwest Railway Preservation Society’s Baltimore & Ohio Railroad roundhouse, displays, caboose rides, and more. A special announcement about the Fire Up 2100 Campaign will be made Saturday afternoon at 2PM. 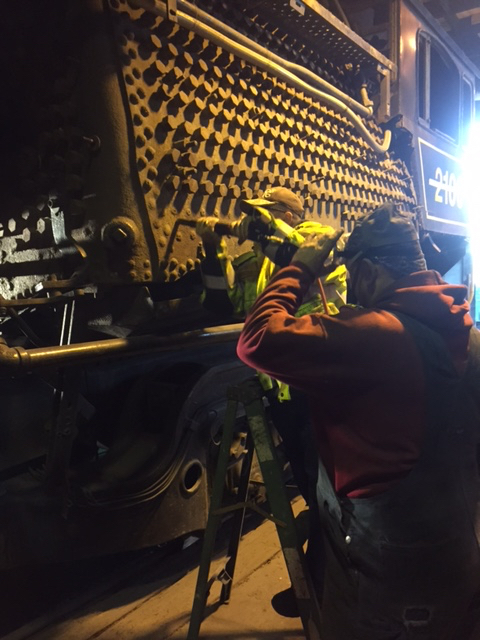 In April, ASR completed a year long effort to remove Reading 2100 from a storage site in Richland, Washington, shipping the historic locomotive 2,300 miles to Cleveland, Ohio in a trip that lasted nearly a month. 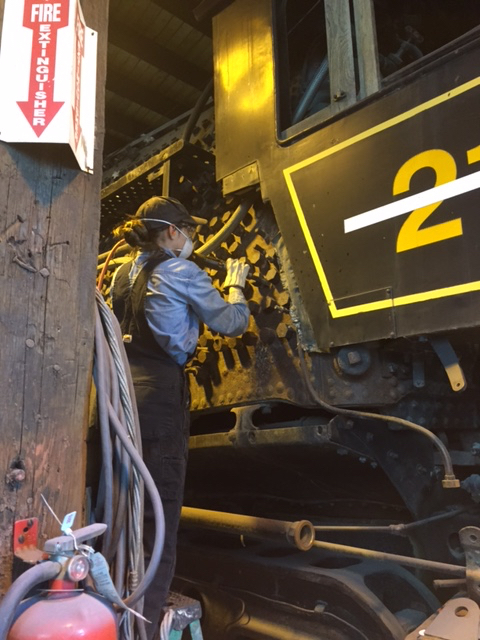 Since then, mechanical contractors and volunteers have started an involved mechanical inspection of the engine with the goal to eventually return 2100 to operational condition for public excursions and tours, education outreach programs, and cultural programs. The cost to inspect and return 2100 to operational status is estimated not to exceed $700,000. ASR is currently accepting donations at fireup2100.org. The Midwest Railway Preservation Society is about to become landlord and casual spectator for one of the biggest projects at the private nonprofit’s roundhouse on West Third Street. 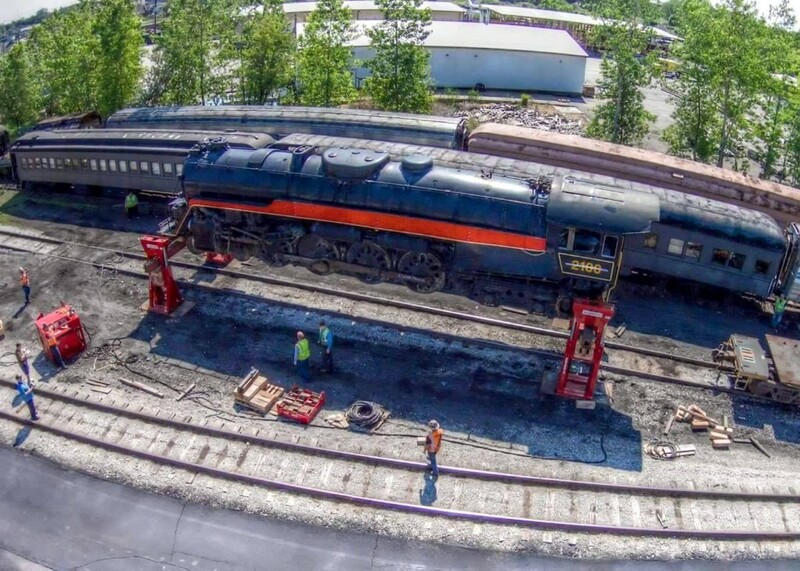 A massive steam locomotive arrived there Monday along with two of its tenders, after a 2,300-mile trip from Washington state on 70-foot flatcars. 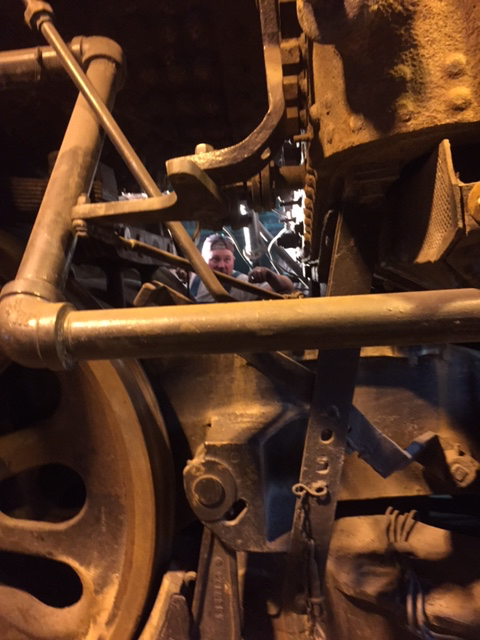 The engine was designed by Baldwin and built by — and for — the Reading Railroad in 1945, remaining in use until 1963. 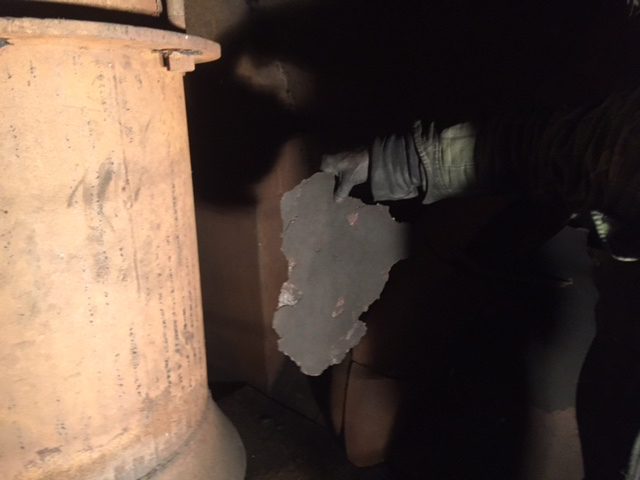 It is now owned by the Columbus-based American Steam Railroad, said Steven Harvey, that organization’s president. He said restoration should take only about 15 months because the engine already is in pretty good shape. American Steam will do its own restoration work. 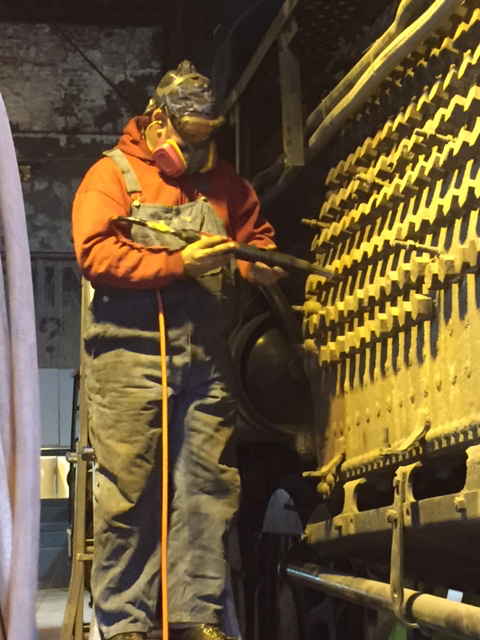 A number of engine and rail-car owners use the Cleveland facility to do their work. In its current form, the engine has an oil-fired boiler, but it will be converted back to coal, Harvey said. 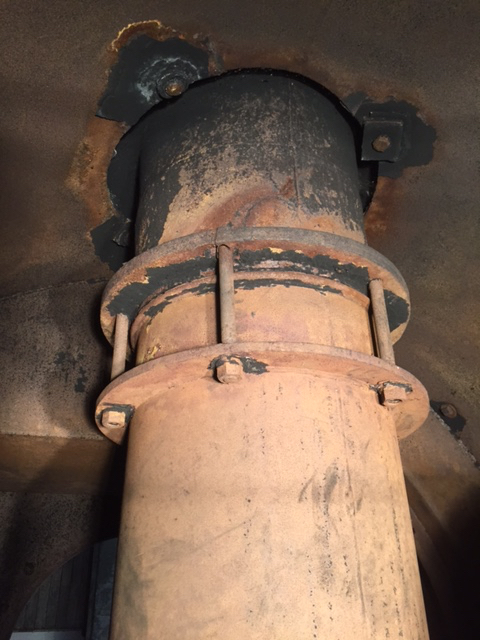 That will require the re-installation of a large augur that will automatically feed coal from the tender into the locomotive’s fire box. The primary tender is able to carry oil and water, but will be restored to a car capable of carrying 25,000 pounds of coal and 20,000 gallons of water. An auxiliary tender will follow that and carry an additional 25,000 gallons of water. “It goes through water faster than it can burn through coal,” Harvey said. 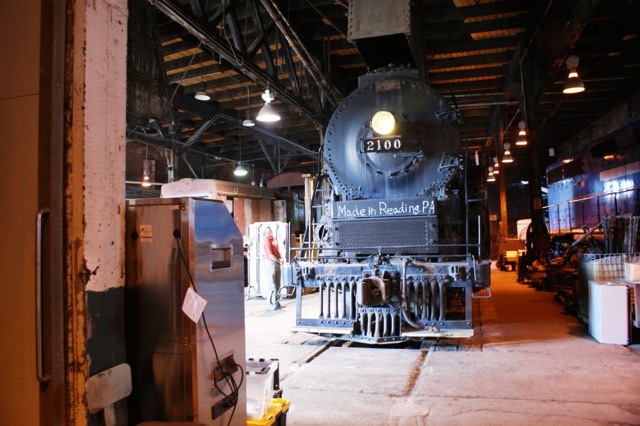 The Roundhouse Podcast featured the Fire Up 2100 project in its most recent episode where the American Steam Railroad goes into detail about the history and current status of Reading Company 2100 and steam preservation. 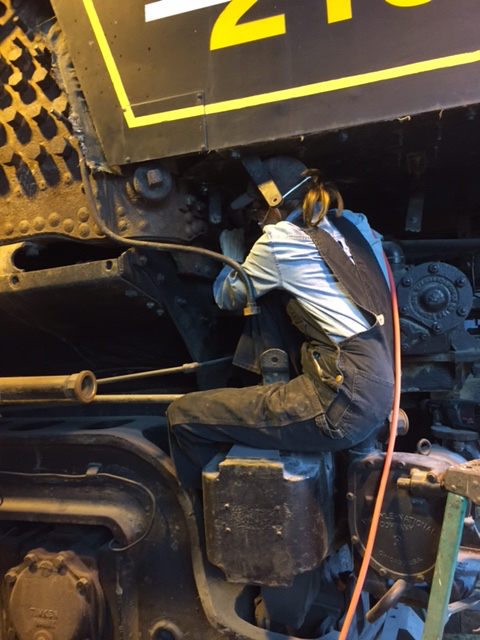 The outfit leasing the engine and doing the work, the American Steam Railroad Preservation Association Inc., is looking for $700,000 in donations. That’s cheap when it comes to big 4-8-4s. 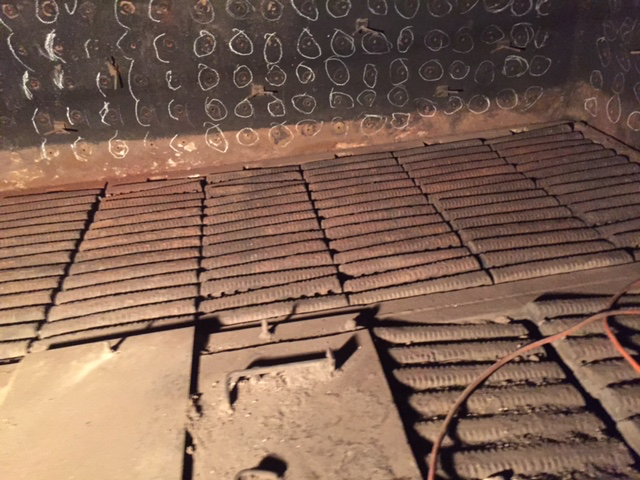 If, say half of Trains’ 93,000 readers each kicked in $20, there would be $100,000 leftover after the restoration to buy a few gons full of anthracite coal to light her off. The association says the work will go fast – maybe we’ll see No. 2100 in steam as early as 2017, maybe earlier if money flows as fast as a stand pipe filling a 19,000-gallon tank. Isn’t a live Reading T-1 enough to get excited about? Steam brings out passion in its admirers. It inspires and delights. It stirs the soul. But get out your wallet first before you start advocating for a second locomotive. Get satisfaction from what is before you. Let’s not get the tender in front of the engine.